Located In: Hastings, Dakota County. 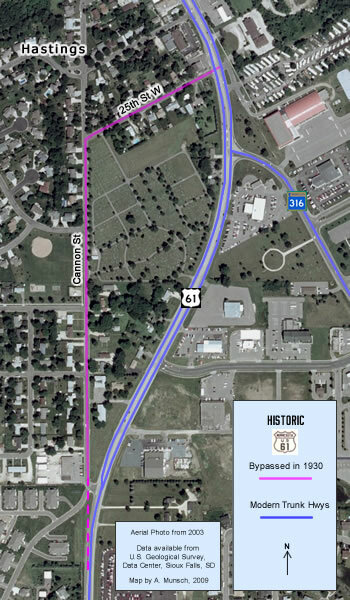 U.S. 61's original alignment on the south side of Hastings was along what are now 25th and Cannon Streets. 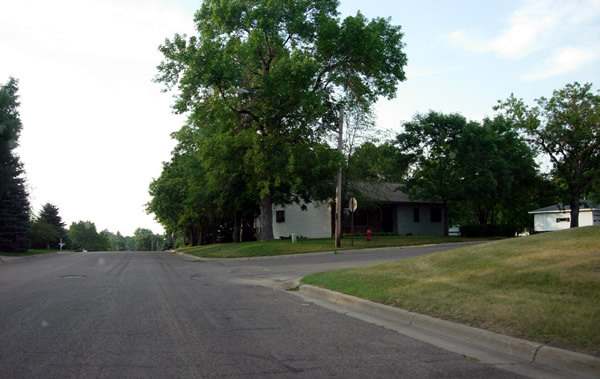 Records show that the road out of Hastings was still gravel when U.S. 61 was first marked in 1926. It was paved with an oil treatment in 1927. 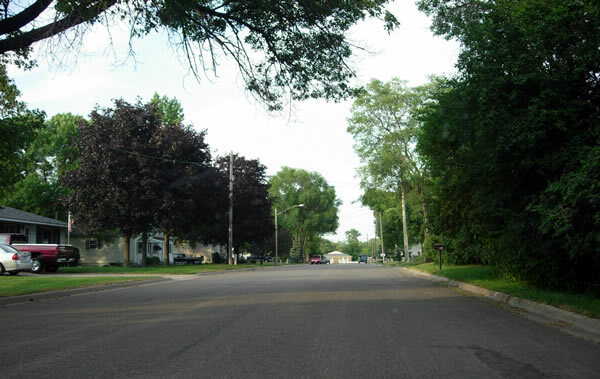 Cannon and 25th Streets were bypassed by the construction of the first modern paved highway between Hastings and Red Wing in 1930. The new road was realigned to get rid of two abrupt turns required on the old route. The old road has since been rebuilt into residential streets. Little remains to indicate that it was once part of the main highway into town. Looking north at the intersection of Cannon Street (left) with modern U.S. 61 (right) on the south side of Hastings, showing both the old and current alignments into town. Photo from October, 2005. 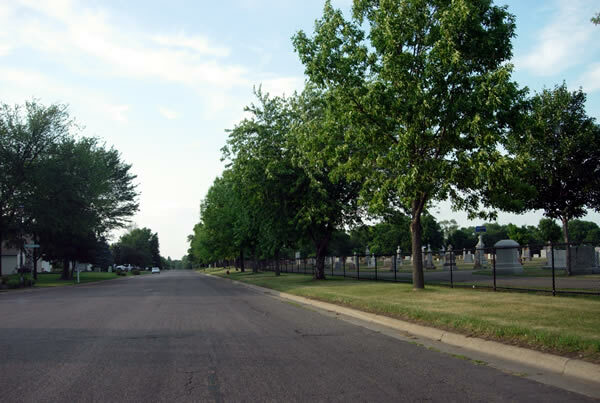 Looking north on Cannon Street as it passes between suburban style houses and a cemetery. Photo taken in July, 2006. Looking north on Cannon Street at 25th Street. U.S. 61 northbound would have turned right here. Photo taken in July, 2006. Looking east on 25th Street. There's not much to here to indicate this was ever a trunk highway. Photo taken in July, 2006.